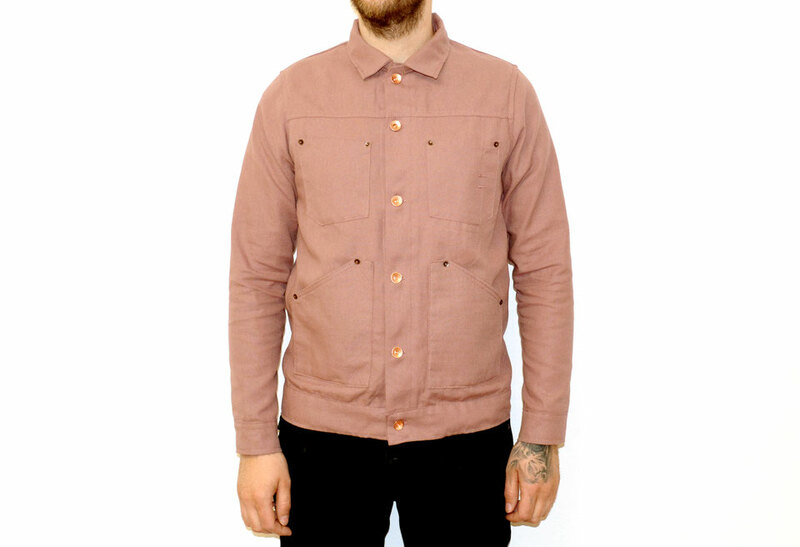 Zace is a denim brand from Ohio, U.S.A. 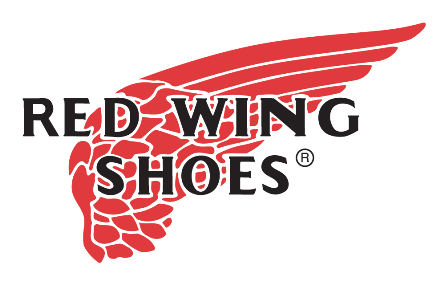 The brand is founded by Zace Myers. 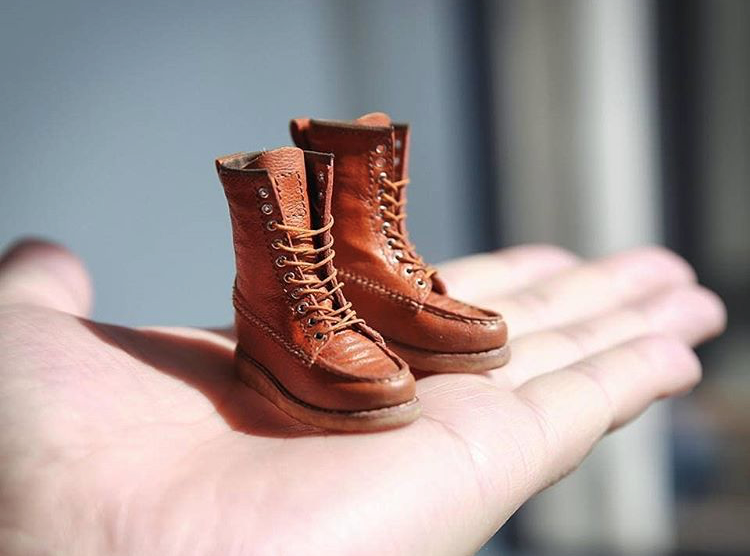 Next to their direct stock jeans collection he creates also really unique pairs which are made to order. It takes around 4 weeks when the made to order jeans enters your doorstep. Highlight below are two of the made to order Zace models from the range. The models are; The Tradesman Regular Fit Selvedge Denim Jean and The Rough Ryder Regular Fit Selvedge Denim Jean. Both fits are unique and outstanding in their own way. 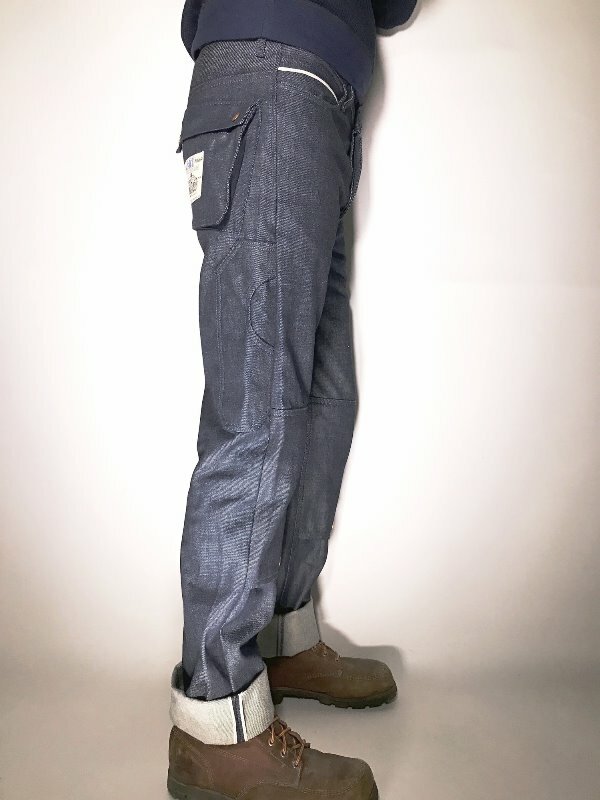 The Trademan jeans has a regular fit and is made of 15oz selvedge fabric. 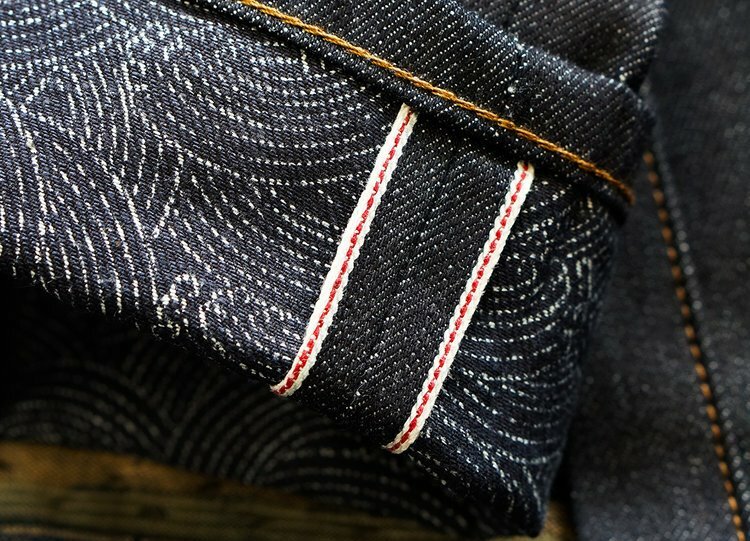 The selvedge redline fabric comes from Cone Mills, U.S.A. The fabric is woven in U.S.A. for the best quality. The fit is called Regular 808. It’s designed maximum flexibility. It has extra room throughout the torso and upper thighs. 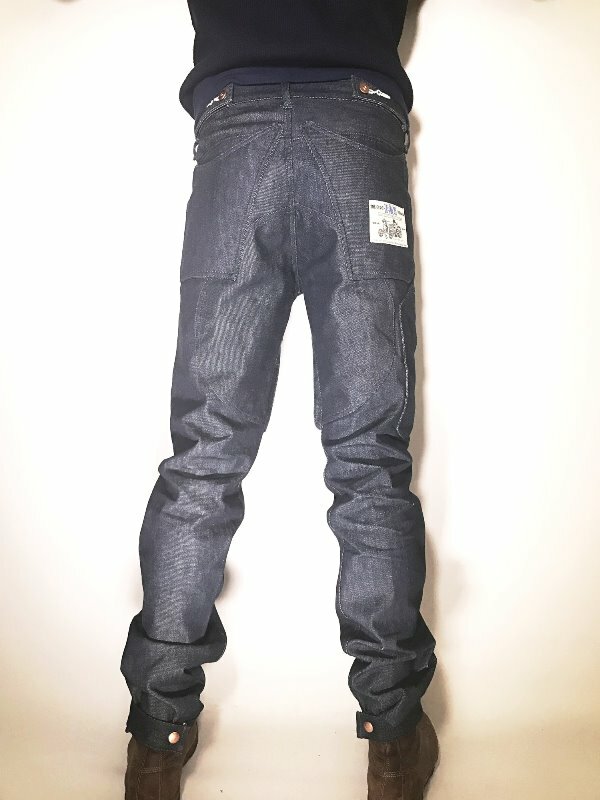 The jeans have expandable gusseted back pouch pockets secured with copper snaps. It has an integrated right side leg pocket. The waist has cinch straps. 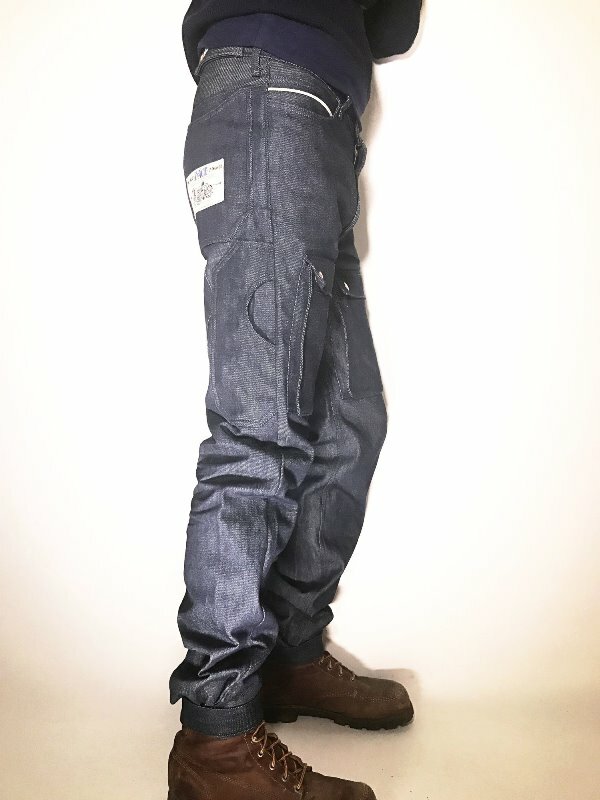 The front pockets are lined with denim. 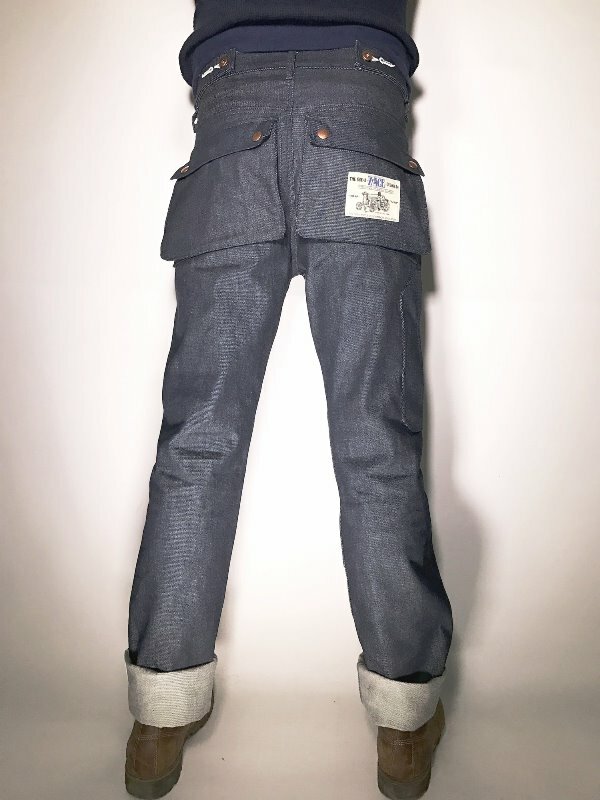 There’re on both sides selvedge coin pockets. The jean has double denim knee sleevev that allows knee pad inserts. They’re secured with a metal snap. The knee pad inserts are included. The Rough Ryder jeans is a regular fit jeans. 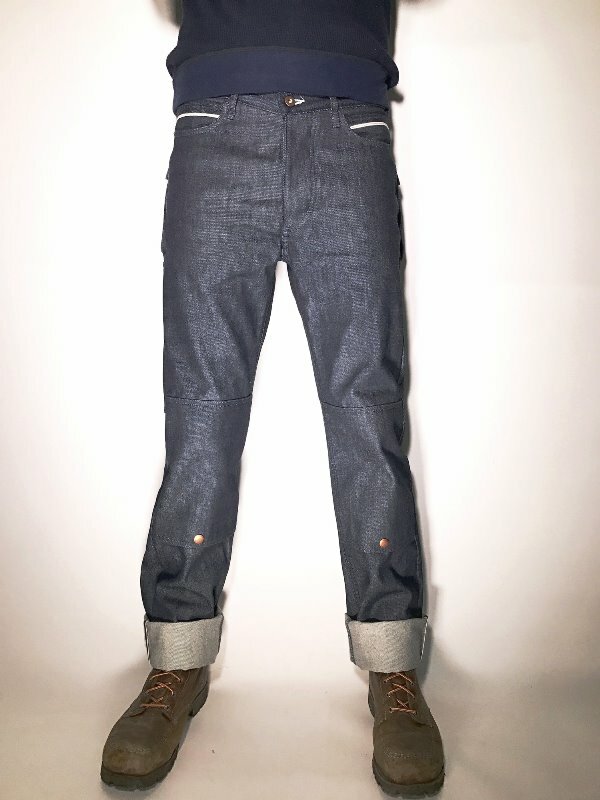 They’re made of 15oz selvedge Cone Mills fabric. The fit is the same as the Tradesman fit as describe here above. 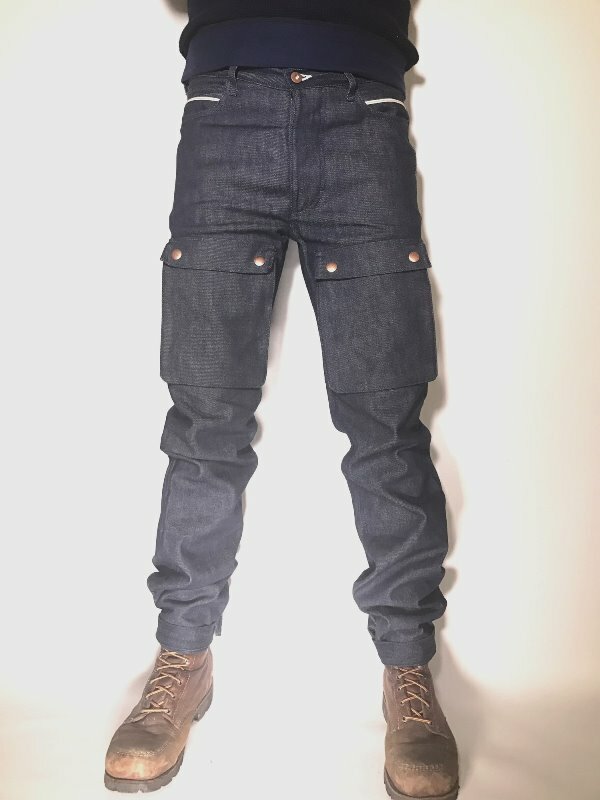 The jeans has expandable gusseted front-thigh pouch pockets which are secured with copper snaps. Integrated is a right side leg pocket with half crescent opening. The copper snaps are also U.S.A. made. At the front panel there’re two coin pockets made of selvedge fabric. On the waistband there’re snap-tab waist straps and on the ankles there’re leg straps. On the backside you will see an inner thigh shield for saddle wear. This is an extra protection for extra durability.